We truly believe that we can provide you with the type of service that has been missing from the HVAC industry for years. No other company can rival our “service from the heart.” All of our work is guaranteed, and all of our products have warranties. Heart Heating & Air is available 24 hours a day, 365 days a year for all of your HVAC needs. We primarily serve customers in Volusia and Seminole counties. With more than 30 years of experience in heating and air conditioning, we have experience in both small local business and large national corporations. At Heart Heating & Air, we strive to embody our motto—“Where service is just a heartbeat away.” Nothing is more important to us than earning the trust and confidence of our customers. 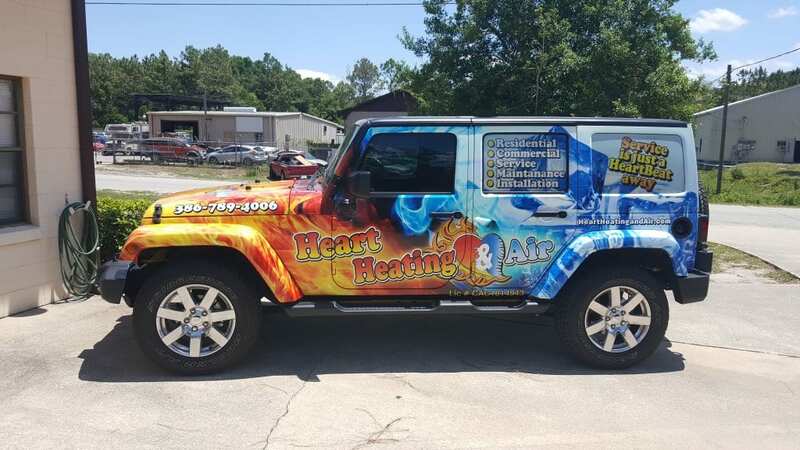 A locally owned and operated business, Heart Heating & Air understands what customers are looking for in an HVAC company. We have been serving the community since 2006, and our owners, Kevin K. Paradysz and Mike Lennox, have been performing HVAC work since 1989. For your protection and added peace of mind, our company is fully licensed (CAC1814943) and insured. We employ certified, bilingual technicians to serve our customers even better. They are available upon request and will serve you to the best of their abilities. We provide free estimates to our customers. Reach out to us today to schedule an appointment. We look forward to seeing you become part of our family of valued customers. Leave a Google review for us!